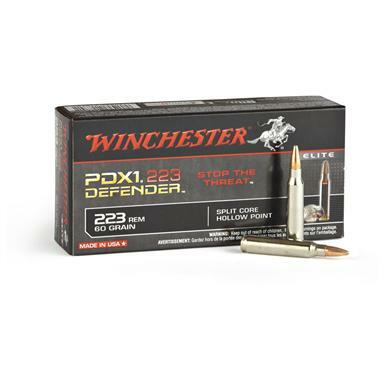 20 rounds Winchester® PDX1 Split Core Hollow Point Rifle Ammo The ultimate "threat stopper" ammo! Winchester® PDX1 Rounds featuring Split Core Technology... the rear core is welded to the jacket for max penetration, while the front core remains unbonded for max expansion. 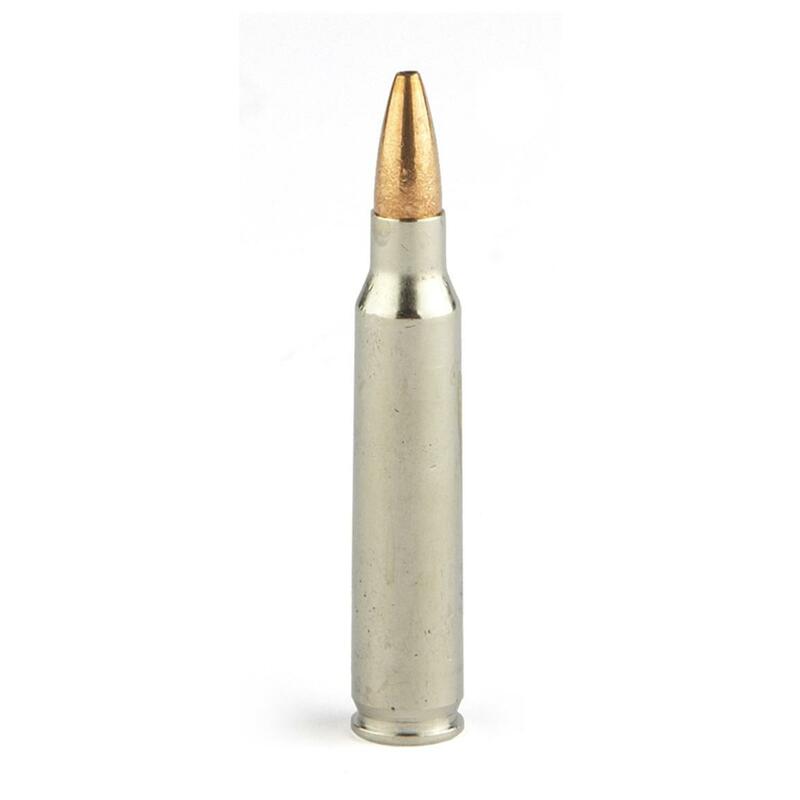 The result is a devastating home defense Round that delivers massive internal trauma and deep penetration! Protected hollow point initiates expansion. Lead core, notched copper jacket.